A report indicates that just 7% of properties available to rent are within the monetary limits of rent support offered by local authorities. The report from Simon Communities in Ireland shows that the gap between Rent Supplement or Housing Assistance Payment limits and market rents also means around 9,000 people living in emergency accommodation are unable to move out into the private rental market. In its study assessing the gap between rent support offered by local authorities and actual prices in the private rental sector, Simon Communities focused on 11 areas across the country. It found there were no properties available within HAP limits in four of the 11 locations, with two other areas having just one available property. The average monthly rent in Dublin was above €1,800 at the end of last year, but the maximum available through the HAP support scheme for the capital is €1,300. 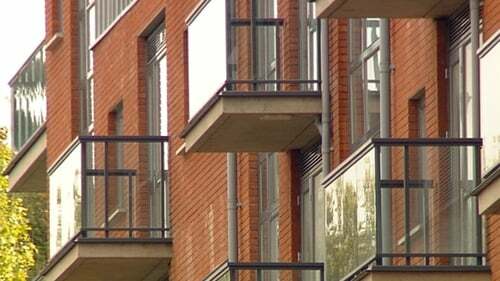 In total, there were just 538 properties available to rent in the 11 areas when the research was carried out last month by looking at prices from property website Daft. This is a less than half the 1,150 properties available in May 2015. Among the measures proposed in the report to address the issue are an increase in HAP limits and full rent certainty. The charity's Head of Policy and Communications said people are foregoing basics in order to meet rent payments. Speaking on RTÉ's Morning Ireland, Niamh Randall said it was critical that social and affordable housing was built as quickly as possible. She said: "We do know that people are often very hard pressed. They're using very limited income to top up their payments. "People forego food, they forego light, they forego food in order to keep a roof over their heads and we do know people are under increasing pressure around the country. "So critically the solution is to build social and affordable housing as quickly as possible." Ms Randall said that there needs to be a look at the type of housing being provided, with a particularly poor supply for single people, who are also competing against couples for single bed units, despite the fact that 44% of people on social housing lists are single. "Critically we need to be building homes, but we need to be building homes to meet the diversity of housing needs out there, which includes single people, which includes couples and of course, includes families as well." She said because rents are continuing to rise while supply is declining, any benefit from an increase to Rent Supplement/HAP in July 2016 has been eroded. In response, the Department of Housing said: "The Housing Assistance Payment is working for over 32,500 households and each week an additional 350 households are set up on the scheme. "Where rents are higher than the limits, local authorities can apply discretion of up to 20% and meet these costs as required. "The evidence is that not all local authorities are using the discretion with only 16.7% of households availing of it and with the average rate of discretion utilised is 15.2% above the rent limits that have been fixed."